Social giant Facebook continues to attempt to rehabilitate its reputation. Today, it announced the arrival of Mentorships, an option which pairs people in Groups around various topics. 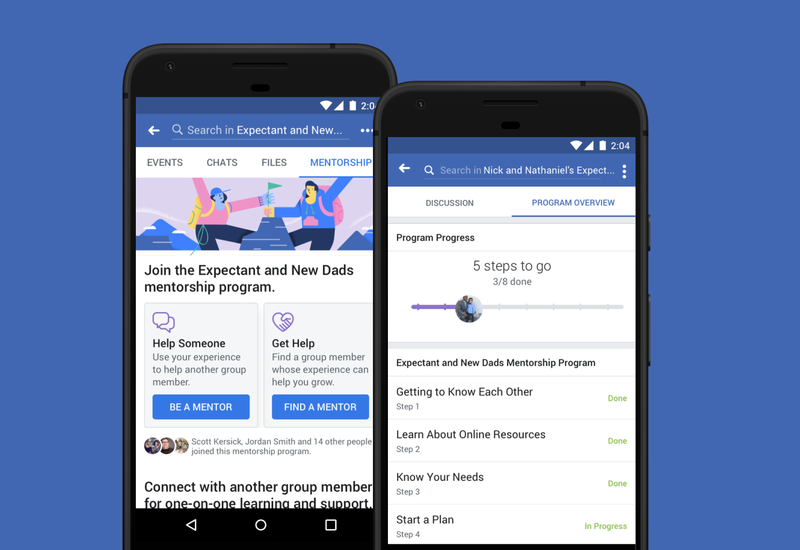 Facebook Mentorships help to connect those seeking guidance and those who can provide it. Currently, there are approximately 200 million Group members on the social network. Previously, the feature was open to a small percentage of groups for testing and now it’s available widely. However, it’s not exactly a freely available service. Only Group administrators can enable mentorships within their communities. Furthermore, it’s up to the admins to pair users up and to introduce them to one another. Thereafter, the pair can go through a program that’s guided by Facebook. Pairs can communicate through Facebook or through Messenger. Right now, the option is limited. But, there plans to expand it to more groups over time.